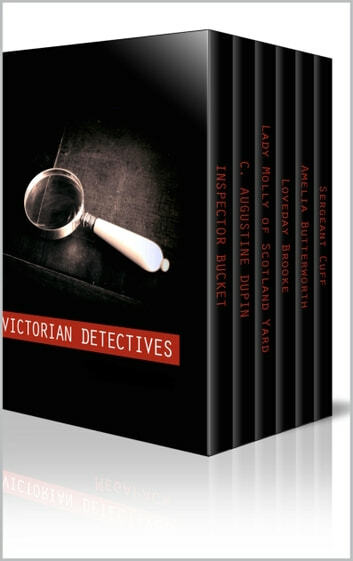 Long before Sherlock Holmes, six sleuths on either side of the Atlantic thrilled readers of early crime fiction - Inspector Bucket, C. Augustine Dupin, Amelia Butterworth, Sergeant Cuff, Loveday Brooke and Lady Molly of Scotland Yard. Here they all are, together in one impressive collection of 24 novellas, two novels and 190 original illustrations. Six crime fighters who paved the way for Holmes, Watson et al. *Inspector Bucket in ‘Bleak House – Special Edition’ by Charles Dickens. *C. Augustine Dupin is the star of the ‘C. Augustine Dupin Collection – The Murders in the Rue Morgue, The Murder of Roger Marie and The Purloined Letter’) by Edgar Allan Poe. *Sergeant Cuff appears in ‘The Moonstone – Special Edition’ by Wilkie Collins. *Lady Molly of Scotland Yard. All 12 Titles featuring Baroness Orczy’s intrepid sleuth of Inverness, Scotland are included here: The Ninescore Mystery, The Frewin Miniatures, The Irish Tweed Coat, The Fordwych Castle Mystery, A Day’s Folly, A Castle In Brittany, A Christmas Tragedy, The Bag of Sand, The Man in the Inverness Cape, The Woman in the Big Hat, Sir Jeremiah’s Will and The End. *Loveday Brooke - The popular female detective created by C. L. Pirkis appeared in six stories in Ludgate Magazine in the 1890s. All six mysteries are included here: THE BLACK BAG LEFT ON A DOOR-STEP, THE REDHILL SISTERHOOD, A PRINCESS'S VENGEANCE, DRAWN DAGGERS, THE GHOST OF FOUNTAIN LANE and MISSING! *Includes original essays and author biographies. *Active Table of Contents for each book. *Perfect formatting in rich text. 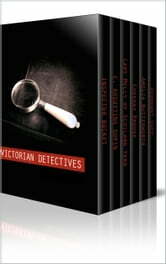 Books related to Victorian Detectives Multipack - The Moonstone, Lady Molly of Scotland Yard and More. 26 Books Total.